Your intuition, or sixth sense, is as much a part of your physical and energy body as your other 5 senses. Intuition is subtle, though, and if you are not used to relying on it in your everyday life, it can take some getting used to. 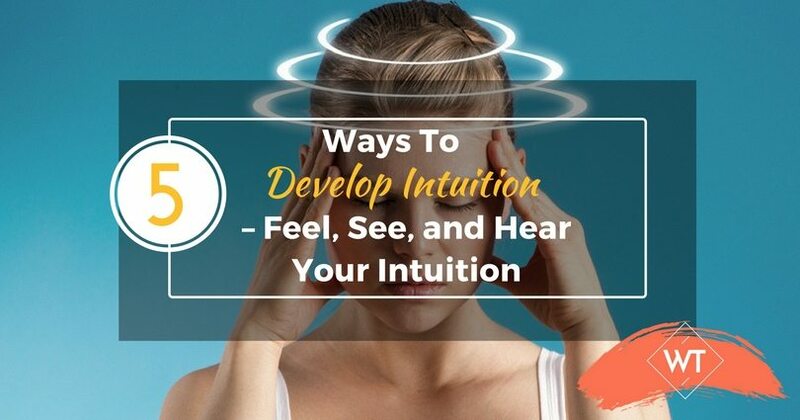 Develop intuitive skills and your intuition can help you make excellent choices, can protect you from danger, and can guide you in living a happy and fulfilled life. Intuition works very well with the circuitry and energetic pathways of the body. Many people feel a tingling in their skin, or get goose bumps, when their intuition is telling them something is right. 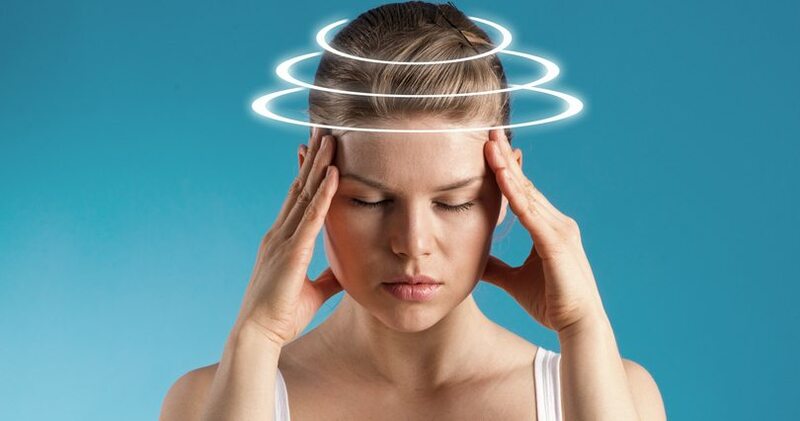 Others feel headaches when things are wrong, or a very bad feeling in their gut. In order to figure out how your body in particular processes intuitive insight, just start to notice how you feel in certain situations. Do some people make you feel drained, or tired? Notice whether you get a constricted feeling in your throat when you hear something sad. When you’re happy or excited about something, does your heart feel light? Do you hear a ringing in your ears at various times? If you are a visual person, intuition works remarkably well with your “mind’s eye,” which is also known as your clairvoyance. Just as you have physical eyes, your intuition utilizes your third eye in order to give you information. Don’t let these terms scare you – clairvoyance is as natural as visualization. If you can close your eyes and picture a bright red apple, you are using your clairvoyance. In order to begin to trust your intuition as it pertains to seeing things through your third eye, all you have to do is close your eyes, quiet your mind, and allow yourself to visualize a scene pertaining to what you would like to know more about. Let’s say, for example, you want to know if Bob is a good man. Close your eyes, and ask for an image to appear that will tell you more about him. If you see a snake, for example, and you don’t like that, it might mean he’s not so great. If you see a cute kitten, that means he’s OK. Be patient, and wait for the pictures and images to come to you. 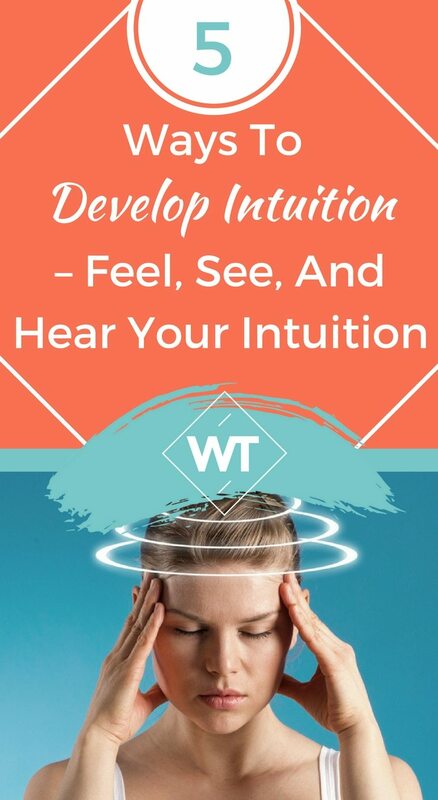 Another great way intuition works with your sense of seeing is by giving you signs you can see with your physical eyes. If you need help with making a decision, ask for signs to appear to help you decide what to do. Then pay attention to what you see. You might notice a billboard that says exactly what to do, or you might see a flower, or a bird, or a series of numbers that helps you lean towards a helpful direction. Intuition often presents itself as a very wise and intelligent voice that comes through your head. When you “hear” guidance like this, it is called “clear hearing” or clairaudience. In order to develop intuition by listening to your inner guidance – you have to quiet your mind and listen to the thoughts that come in. When your intuition speaks, it is always quiet, calm, still, and wise. It will take some practice to learn how to differentiate your ordinary thoughts from the guidance of your intuition, but with time and patience, you will become a pro! Another way clairaudience works is through the words of others, or through music. Let’s say you’re pondering whether or not to take a trip, and you’d like to ask your intuition what the best decision would be. Just make a note to pay attention to any guidance you get (if you’re not paying attention, you won’t see or hear the signs even when they’re all around you!). Next, just listen to what others are saying. You might overhear a person telling someone else that they just got back from the most wonderful trip. Or you might hear a song that talks about how nice it is to stay home. Your intuition will thrive once you begin to work with it and to allow it to work for you. All you need to do is make a commitment to using it, and to trust the guidance you will receive. Remember to have fun with it. The more your approach your sense of intuition with wonder, delight, love, and joy, the more easily it will flow.